How to transform your carwash into a greener business. A switch to a more environmentally friendly world is occurring right before our eyes. Green products are becoming increasingly popular, and more people are realizing the importance of taking care of the environment. Do your customers know that commercial carwashes are actually more environmentally friendly than using a sponge, soap and bucket at home? Commercial carwashes throughout the U.S. are required by law to discharge dirty water into state-approved drainage facilities, then treat it or reuse it. Because of the increasing popularity of environmentally friendly products, a lot of carwash products can be used to help protect the environment. Whether you are just starting your own carwash or you have been in the business for a while, there is no time like the present to make the switch to green products. 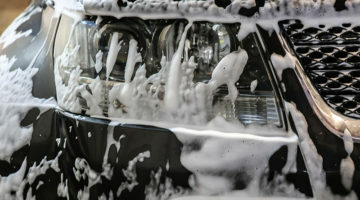 As mentioned in the article “Going green: Save electricity, water and money,” featured in a previous issue of Professional Carwashing & Detailing, Gary Hirsh, president of New Wave Industries Ltd., PurClean™ and PurWater™, says the industry is experiencing an upward trend of carwash operators embracing eco-friendly products. Just because you decide to be more environmentally friendly doesn’t mean you have to sacrifice the quality of service your company offers. Check out some ways, provided below, to transform your location into an eco-friendly carwash. They are out there. 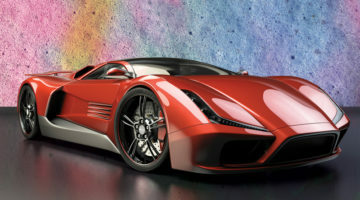 Many companies are now offering and providing cost-effective and environmentally safe products for commercial carwashes. If there is a supplier that you have been working with and buying your products from, then discuss some greener options with them. Chances are the supplier won’t want to lose your business. Discuss environmental standards, and make sure your suppliers are meeting them. The more people who make environmentally friendly products an important part of their businesses, the more the trend will catch on and gain popularity. Make sure when looking for products that you purchase a solution that is both biodegradable and nontoxic. Look for environmentally friendly soaps that do not contain any of the following: petroleum-distillates, kerosene, silicone or mineral spirits. An interesting fact some people, including your customers, might not know is that carwashes use significantly less water when cleaning cars than what is used when washing a vehicle at home. According to the International Carwash Association (ICA), commercial facilities use an average of 45 gallons of water per wash. This compares to about 80 to 140 gallons of water used when washing a vehicle at home. It is important to educate your customers on such crucial statistics to not only help protect the environment but also to help maintain a steady customer base. While the Clean Water Act of 1972 requires all carwash facilities to drain their waste water into a sewer system, many washes are also recycling and reusing their rinse water. If you haven’t already, look into reclaim technology, which helps to cut down on the amount of water used. Foam brushes and soft touch technologies also provide a more efficient wash over touchless washes. Touchless washes are more apt to using more water and requiring higher chemical concentrations. High-pressure washing systems consume even less water than an average commercial carwash. If your location hasn’t switched to high-pressure water nozzles or a computer controlled system, this might be something to consider. The high-pressure nozzles use water much more efficiently. These systems are helpful because they only use water when it is needed and measure how much should be used, rather than a water hose that stays on for the amount of time needed to wash a car. 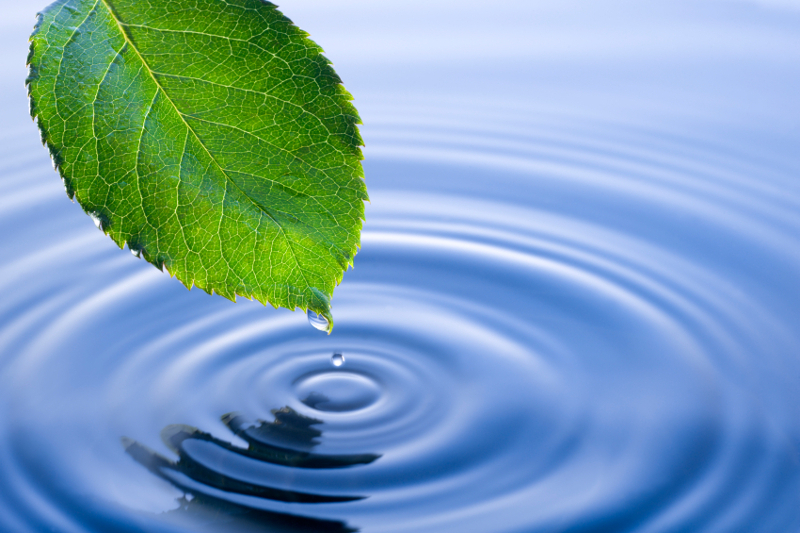 This conservation reduces water usage, which in turn cuts operating costs. Take a greener approach and don’t just stop with water usage by utilizing both wind and solar power at your facilities. You can completely transform your carwash and be more environmentally friendly in all aspects by participating in power programs. Take a look into other energy sources that would be possible for your location. If there is a will, there is a way. By doing this, you can set yourself apart from other washes in your area. If you provide cloths for customers to wipe off their cars after a wash, then make sure they are reusable. A great idea might be to award loyal customers if they bring back their reusable cloth after using to exchange for a clean cloth. Give a discount and encourage customers to reduce the amount of trash by reusing. Also, if your location has vacuums place recycling bins nearby. Offering these bins will help reduce the amount of trash people toss away when cleaning out their cars that could otherwise be recycled. These options will help to show your customers the positive effects of recycling and taking care of the environment. As far as the business side of things, try to use recycled paper or reduce the amount of paper utilized in your office efforts. Most people probably aren’t aware of the environmentally friendly aspects of professional carwashing versus washing their cars at home. Communicating your environmentally friendly approach can really help to attract customers to your business and to develop a great relationship with your community. Share information and tips on your social media pages and website(s) to help spread the word. Stress the importance of how taking care of a car in an environmentally friendly way can be very helpful to the appearance of the vehicle for years to come. Samantha Tung handles online media relations for Caliber Collision. She regularly produces content for a variety of lifestyle and automotive blogs; and, in her spare time, she enjoys taking road trips and traveling. Opinions and information presented in this blog may or may not be supported by the publisher of Carwash.com.